Bill Simpich - Thank you. I’m the new kid on the block here. This is my first day in Dallas here in my whole life. And I love it here. I’m a big Texas fan. I usually wind up in Austin, instead of here. But, I hope this isn’t the last time. I was asked to come because I’ve been thinking and writing pretty hard on the subject of Mister Oswald, specifically, like many of the people in this room, trying to figure out just who is this guy at the end of the day?I’m not so interested in solving the assassination, though I always love the conversation, in trying to figure out who Oswald is, and that’s what brought me to this point, because, you know, looking at the JFK case for me is like having a Hubble telescope into the intelligence agencies and the way this country ticks. And that’s big stuff. And I really, before I go any further, I just want to salute the people in this room who have worked so hard on this for so many years because I think the work you have done is just outstanding, and I’m glad I can offer a little piece to it. So, what I thought I would do today is address what I see as five different operations going on in Mexico City. And I’m going to tick them off right now and then I’ll come back to them again and again. And I don’t know if anybody else in this room has ever done any research on that, but if you have, let’s talk afterwards cause I find it fascinating. I think you will enjoy this part of it in particular because it shows that in the 30 to 60 days before late September ‘63 two different agents, assets, if you will, one named LI/TAMIL-3, and the second, we don’t know who it is, I mean it could conceivably be Oswald, but I don’t think so, I think it’s a fellow named AM-KNOB-1, who was an asset with JM/WAVE in Florida. And they were trying to recruit Azcue to the other side, the U.S. side, and that’s because, in fact, Azcue was rather ambivalent about the Castro government. And we’ll talk about that. So, that’s level two. And then the third one is the probe of Kostikov. He was the chief of Soviet Russia, CIA work. So, the whole thing with Kostikov, that’s level three. And then the fourth level, if you will, is what I call the mole hunt. I think a lot of people here have some familiarity with the mole hunt work that Peter Dale Scott and others have written about and that’s basically the “dance,” where CI/SIG, which is Angleton’s operation, how many people here know what CI/SIG is? Okay. CI/SIG is Counter Intelligence Special Investigations Group. Angleton was the head of counterintelligence for the CIA. I think most people here know who he was. Birch O’Neal, the guy who said, the day of the assassination, he goes, I don’t remember any FBI documents to speak of, on this subject, but he was the head of CI/SIG. And CI/SIG was the CIA of the CIA. This is one Ann Egeter, who was one of Angleton’s aides said in a deposition that has recently been released by the archives, I had to mail out to get it, it only took six months, and I go to the archives every year or two in the last five years ‘cause I have a family up that way and the bottom line here is that the CI/SIG story is fascinating. They are a power broker here. And another power broker is the Soviet Russian division. And a third power broker here is what used to be Taskforce W, the Special Affairs Staff down in Florida, the JM/WAVE crowd. So, these power centers are what I am going to be talking about in the next few minutes, because there is some kind of rivalry, there is some kind of dance, and I’m not going to be able to give you all the answers, but I am going to give you some indicators. And then finally I’ll say a few words about what Mr. Newman wrote about 15 years ago really well which is the creation of “the smoking file.” And the smoking file is simply what happens when you put a 201 file with Oswald together with the documents from the FPCC operation that the CIA was doing, because by the time of the assassination there are supposed to be 42 CIA files in the 201 file with Oswald [List starts on p. 2 goes to p. 5] but when they went to look at it after the assassination there are only five files there. The other 37 had been checked out, and so what you are going to see is that in fact it was almost stripped bare by the time we get to Mexico City. So, the only people who really seemed to have had all the pieces of both the FPCC file and the 201 file were CI/SIG. And that is again, Birch O’Neal, Ann Egeter, who helped write these memos, and Angleton, and a small coterie of, you know, some people say eight people, and they worked with the Office of Security for the CIA and again whereas Egeter said herself the CIA of the CIA. Their job was to prevent what they saw as penetration into the Agency by spies from the Cubans, the Soviets, or what have you. So, with that said, let me ask the question, what I want to do now is look at the two October 10, 1963 memos sent by Ms. Bustos from the [CIA] headquarters. October 10, 1963 cable to State Dept., FBI and the Navy, October 10, 1963 cable that went to the Mexico City CIA station. Did we look at these this afternoon? I got in a little late. So, we haven’t done these to death? I don’t want to spend all day on this but I want to ask if we can start scrolling as we go here (indicating to the jfklancer A/V folks. Simpich has several documents scanned into a presentation that is projected onto a screen. He’s had the October 10th, 1963 cable from CIA HQ that went out to the Dept. of State, the FBI, and the Navy on the screen since he started.) I am going to struggle mightily with this. Bustos here is Charlotte Bustos. She is the person who wrote these two memos. And she had a lot of help. Her main helper was Egerter. And Egerter again was Angleton’s aide and Birch O’Neal’s aide in CI/SIG. So, as we go, who does this go to? This goes to State Department (instruction to A/V, we can stop, thanks), State Department, Federal Bureau of Investigation and Department of the Navy. So, this is what these people are being told about our friend Lee Henry Oswald. And Lee Henry Oswald was a name made up by Egerter when she opened up the 201 file a year late after Oswald came to the Soviet Union. And that Lee Henry Oswald file continued up to this day and then it creates a Mexico City file named Lee Henry Oswald although they certainly knew better by then and continued up to the assassination, I think Lee Henry was still some kind of file out there. So, now right there is a good place to stop. (He reads from the cable) “On October 1, a reliable source,” which is LIENVOY which is the newest form of their telephone taping in Mexico said this fella who described himself as Lee Oswald said this and that but what he looked like “35 years old,” I don’t think so, “athletic build,” I don’t think so, “6 feet tall,” no, “receding hairline,” no. And I think she added it because I think she had her own operation going on down there. I’m going to posit without getting too much into it that Goodpasture was her own woman. She didn’t just answer to Winn Scott down in Mexico City. She answered to Angleton, and Harvey, she worked with, was part of Staff D, she was good buddies with Angleton. I think she had her own agenda. So, in any case, she was the one who brought that photo to headquarters attention. And for some reason now headquarters is telling the FBI, the Navy and the State Department that Oswald looks like this. And you’re going to see the second memo where they at least get a little bit closer to the truth. Okay, so if we could just scroll up about seven lines here. Okay, so now it’s believe he’s identical to Lee Henry Oswald da-da this, October ‘59, embassy, Russian born wife, okay, can we go to the next page please, and what we see is, keep going, because this is the very end of this short memo, and they are saying here that we are also going to make this available to INS. So, INS is the other major agency that has been tracking Oswald all along because his wife is from another country and they are going to be given this bum dope about Oswald, for reasons that we don’t exactly know. But, this is going to headquarters and I will posit to you that the reason they are doing this is because there is a mole hunt going on and its going on among the hierarchy of these headquarters, and it’s being driven by Jim Angleton, and Ann Egerter, and friends, to see if ah; and the way a mole hunt works is if you get the key words in here like Lee Henry Oswald, or this crazy description and it winds up in a file where its not supposed to be you got a leak, remember the plumbers and Watergate? Same thing, you find out where the leak is and then you find out where the spy is. That’s what CI/SIG’s job was. Okay, can we go to the next page? Alright, yeah and keep going, that’s great, right about there. Okay, thank you. So, now Lee Oswald, (referring to the other October 10, 1963 cable) this one is going to Mexico City. This is not going to headquarters. This is going to Winn Scott and the folks who are doing the work in Mexico City. And here, now this is my favorite part and I am going to try not to dwell on this too much this is my own speculation but Oswald is five foot ten, 165 (pounds) light wavy brown hair, blue eyes. Pretty close. Not exact. As some of you probably know, Quigley from New Orleans sent a memo on the 24th (of September) which got to the CIA on October 4th, about 6 days before that (the 10 Oct 1963 cable with the more accurate description of Oswald.) Quigley’s memo says, “Not five ten, five nine, not 165, 140, not light wavy brown hair, takes the wavy out, not blue eyes, blue - Hazel eyes. Seems minute, this is where I quarrel with people because Marguerite, our friend Marguerite Oswald is the one who gave this description. Lee never weighed more than 150 pounds in his whole life. In fact, back in ‘59, I think, he was 130 pounds soaking wet. My point here is that this became another mole hunt tool and was used by John Fain, the FBI guy who was working with Egerter through this whole period. And Egerter and Fain kept tossing this figure around, five foot ten, 165, blue eyes et cetera, and they kept working it, and working it, and you see it all through the documents and it continues up to the point of Dallas. I’m not much of a Dallas guy, I’m not a forensic guy on that level, I’m more happy with the documents, but here is an interesting little side note. How many people here know Robert Webster? Okay, Webster has a fair amount of currency, as I thought. And Webster and Oswald for a lot of reasons, look at the pictures, they do, there seems to have been some kind of a doubles game going on here. This (the description given in the 10 Oct cable going to the FBI, Navy and State Dept.) is almost an exact description of Webster. Webster unlike Oswald he was five foot ten. He was consistently, 165 to 166 pounds based on his ‘57 employment. He was hired by the way by James H. Rand who was just about the only guy left doing business in the Soviet Union, and was Webster’s boss and flew to the Soviet Union in September ‘59 when Webster all of a sudden just disappeared in the middle of the Soviet Union after an American exhibition. And then Webster pops up when on October 17, the day after Oswald arrives in the Soviet Union and it’s not impossible that Oswald was sent there to either double up Webster or be in some kind of operation that Webster was doing, because Webster was up to something pretty big. Webster was being watched by NASA, in Cleveland, Ohio of all places, because Webster was a plastics technician, and NASA being in the aerospace business and molding, and all that was very interested in this technology and the Soviet Union didn’t have much of it. 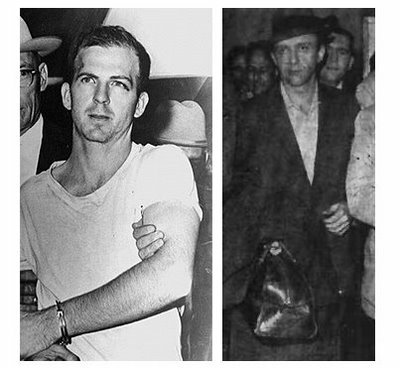 So, Webster is a fascinating figure and except for the hair color, brown, vs. blond, which I think we all know comes into play in the endgame in Mexico City with Oswald’s appearance [Sylvia Duran’s Oswald was blond.] but you have to wonder whether a game is being played there. That’s all I’m going to say on Webster today unless I get some questions. So, if we could scroll up to the next paragraph? Thank you. 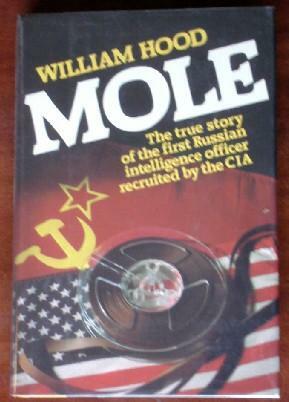 On October ‘59, okay, this is all about his history in Minsk, this is pretty much based on State Dept. documents. And then if we can go to the next paragraph. My point here, keep going, a little further, all the way to about there, that’s good. Thank you. And this is more about the Soviet Union. Nothing about Cuba. Nothing about Cuba. [This is the cable with latest HQ info is State Dept. cable date May '62 See RIF# 104-10015-10048 paragraph 3 on 2nd page, 10048-4 as labeled by Deb Conway] They got the documents from Jim Hosty, and Mr. Quigley just in the last couple of weeks, before this. This is the hottest item in the smoking file and it’s all about Oswald’s Cuba connections. Can we please go a little bit farther? ‘Cause this is all stuff we pretty much agree on. This is a good paragraph. “Latest headquarters info [is] May ‘62.” So, headquarters doesn’t know anything after May ‘62 that means, I think, that they don’t know what happened after Oswald came back, or, in fact did he come back? He was planning to come back. That’s as much as we really know. Is this guy an American, or not even an American at this point? According to this file you can’t tell. Next paragraph please. "Yeah, it was a high profile activity, and the FBI wrote many memoranda about it and sent 'em into the CIA. "In fact here's all the people who signed off on that. "John Scelso", Ann Egerter, from Angleton's mole-hunting unit, Jane Roman from the liaison section in CI, and Stephan Roll, [from] the Counterintelligence section of [the] Soviet Russia division, signed off, William Hood, acting for J.C. King and Thomas Karamissines, the # 3 guy, or #4 guy, actually the assistant deputy director for plans, all sign off on this lemon 'our latest information on Oswald is May '62. "We can continue. This one here is [FBI agent] Hosty's report of 10 September, 1963. "And here's all the people who read it. There's Jane Roman (Counterintelligence/Liason), there's Stephan Roll, here's Ann Egerter(Counterintelligence/Special Investigations Group). There's Jane Roman, right there, all those people who signed off on that have been sitting there reading it. In fact they're reading it that week. This happens to be September,1963. "And here's another one, here's the letterhead memorandum out of New Orleans, 9/24/63. Here's all the people who read this. But, fortunately, Jeff Morley from The Washington Post was there and we had two tape recorders going because there is a big brouhaha about it now. There is a web site close to being put together on this, but anyway, she admitted it here. "If you say we haven't heard anything on Oswald since May '62, what are you doing? What are you deleting from the record? Headquarter's knowledge of Oswald's Cuban escapades. "And who are you deceiving? Mexico City. "You are lowering the signature, dimming the switches, lowering the profile of Oswald. WHERE? In Mexico City. And then, this is a fun little paragraph here, thank you “Station should pass info ref and para one to TP/ELIDE...” Who is TP/ELIDE? When I first saw that I kept thinking, well, lines through telephones it might be NSA. I went through Winn’s [Winn Scott] documents very closely and he kind of borrowed this language in his and these codes are ODENVY, which I believe is FBI, ODOATH is the Navy, I believe and OD/URGE I think is INS. But, who is TP/ELIDE? TP/ELIDE he [Winn Scott] indicates is the American embassy. And the American embassy if they had some hardware for spy equipment, that was there. and that’s our tip, about, if Oswald was impersonated anywhere and we can argue, I think rationally about this all day, but I think we all, I think most of us agree, even the people who are lone nutters would agree, that this is probably not Lee Harvey Oswald here, with the broken Russian, this guy, even Mr. Gregory said that he (Oswald) was qualified to be a professional translator when he came back in ‘62. And to get broken Russian in those calls from the 28th of September as well, and for that reason I think Eddie Lopez who got almost everything right was confused on this one point, I think there’s no question that it was Oswald who visited three times on the 27th and never came back on the 28th. Somebody dummied up Oswald and Duran on the 28th. Somebody dummied up Oswald again on the 1st. That we’re clear on. I think we can have good disagreement about whether Mr. Oswald went down there at all, whether he went to just the Cuban, or both the Soviet and the Cuban. That’s room for legitimate debate, but I think that that paragraph tells us a lot. Now, why don’t we turn to, if you guys are like me you’d rather see documents than anything else, so if we could turn to the other document? What I want to look at now is not only do you see this mole hunt game going on as you saw in that previous set of documents but now we’ve got a series of dramatic events going on around Mr. Azcue. And Mr. Azcue was the consul for the Cuban consulate in Mexico City. And he was in his late ‘50’s. And he was kind of a split personality. He was pro-Castro, and kind of anti-Castro. His wife was pretty anti-Castro. If we could scroll up just a few lines, maybe seven lines or so? That’s good. Thank you. Okay, so now what we got here is this is a description of Mr. Azcue [RIF# 104-10297-10043], more than 30 years diplomatic experience and LITAMIL cut outs, 1 and 2, we don’t really know who they are but we know LITAMIL-3 is an older man about Azcue’s age, and he’s worked at the Cuban consulate. If we can go up about five lines? Thank you. Okay, this paragraph two says “LITAMIL-3,” who I really want to figure out who this guy is, “has been anxious to get out for considerable time but has “stayed in place” at station request. Station believes retention LITAMIL-3 would vindicate him in the eyes of anti-Castroites...” So, LITAMIL-3 really dug in his heels here for years to get it done, to try to give information to the Mexico City station. And so, now can we go to the next document? Right about there is good, thank you. This, okay, this is just a quick little squiggle on Azcue, longtime member of the Communist party, he’s got a Spanish Civil War background, and he lived in France. People go back and forth about whether he was French intelligence. The person who kept pushing that story is Elena Garro de Paz. And for that reason alone, which we can talk about another day, I think, you can’t trust a word that woman says I’m afraid. Anyway, so, if can we go to the next page, please? This is all a little Azcue background, keep going a little further, yeah, keep going, a little more, this is his card, thank you. What we get from this card is that he was living in Mexico almost 20 years it turns out, “pro-Castro power grab, had been the responsible for bringing guns and ammo through Venezuela." 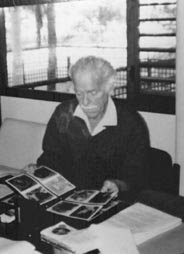 He had done some serious work for the Cuban revolution. Okay, let’s turn to the next one, okay, can we go a little farther? Yeah, basically it says here, “Azcue, of course is a Communist,” according to the source, “but that he recently told him that if Cuba became a terrorist state he would leave the Embassy.” And that is pretty serious, that is not a true believer here. His wife was not happy with the situation. She does not want to go back to Cuba. Okay, next page please? Okay, now this is a memo from, I think this is still our friend Mr. Herbie (sp?) just before he leaves, and the purpose of this document is to show that there is a fella named Cassas, and you may not be able to see it here but Casas is basically saying in this document that he felt free enough to tell Azcue that he was going to defect from Cuba back in 1961. [This document is dated 3 Jan 1963] And obviously that has some importance because, you know, you’re telling the Consul you’re going to defect and he’s not snitching you out. Okay, next page please? And Casas is a player here. Casas is the focus of this memo [104-10163-10019] Thank you. 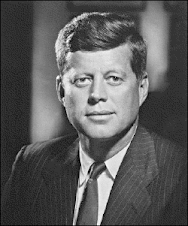 This is a July 16th, ‘63 memo, and this guy, can we stop, right there? He’s travelling up to Harrisburg, Pennsylvania and he’s with Special Affair Staff, the old, the new Task Force W and they are trying to get Casas to come down and get Azcue to defect. Okay, next page please? And this fellow is Jose Antonio Casas Rodriguez. Keep going a little farther, now a little bit more, a little bit more, a little bit more still, I want to show you this, oh lord, okay this is, the, ah, I’m going to have you go back up, just a tiny bit, SAS/CI that is probably our friend Mr. [Joseph] Langosch, also known as Mr. Harold Swenson. [104-10163-10014, page 2, the record and routing sheet, the 11th entry] He was head of counterintelligence for SAS. This is important, to have Swenson’s name on there is significant, and the date is significant, it’s 24 September 1963. A number of other people have looked at this document already. I think you’re looking at the top of the line. Alright, next page please. Okay, now all this, if people want to research this, I’m a Mary Ferrell guy, myself, “Operational,” and “TYPIC,” [look at the Subject line] there are hundreds and hudreds of documents on TYPIC and they go all the way to 1966. I find them absolutely fascinating. And they go into a lot of the horseplay going on between the American and Cuban side. So, this document now is telling us about how Azcue has long been of interest to the station. And he’s been the object of rather close scrutiny with an eye to recruitment. Alright, can we go up a little bit? Right there. LITAMIL-3 has given us this indication, et cetera, people say he’s still “a dyed-in-the-wool Communist,” but I’m not so sure. [Teresa] Proenza, (the Cuban Cultural Attache) people know her. She’s in the mix here. Alright, let’s go to the next page. All the way to the next page. The next paragraph. Okay, this is good, this is good. What they are saying here is that we are asking : “if he blunts his lance we will be none the worse for it and if he is sucessful will have an agent either inside the embassy or inside Cuba.” That’s really the bottom line. Time is precious, I want to keep going, but these documents are available. Okay. So, the game is afoot. They are trying to get Casas into the game. Keep going, a little bit further, all the way to the bottom of the page. I find this fascinating. This is the number, the 201 number of a fella, named AMKNOB-1. He is another crucial source, besides LITAMIL-3, who is inside the Cuban Embassy. This guy, AMKNOB-1, is in JMWAVE, which is [Ted] Shackley’s shop, and aligned with the SAS crowd. This number, it looks like 555958? But, the problem is his real number is 335958. And this document was released in the 90’s, okay? Somebody dummied up this, these numbers here, those two numbers, you can see the little play, how they changed a 3 into a 5. I don’t know why he would do it because you’ll see the next page [then] you’ll see the right number, (laughter) which says to me that they were either of the impression or actually working on trying to keep the document and the routing sheet seperate. I can’t speculate any further, but there’s no question the number has been played with. Okay, next page please. This is all a month before Mexico City. This is August of ‘63 and now this is basically just another document saying AMKNOB says Azcue will be replaced soon. And that’s of import because this is about when they got the word that Azcue is going to be replaced and remember our friend Mr. Oswald wrote a letter to the Soviet Embassy on November 9th saying I think Azcue is already gone, and good riddance, he was a bum, he didn’t give me my visa. But, infact, he [Azcue] didn’t wind up leaving until November 18th, just four days before the assassination, but this is our tip off that Azcue is leaving town. And there’s lots of chitter-chatter, fun to read, another day. If we could do the next page please? Let me take a look at it, it’s more of the same. I’m going to let this page go and go to the next page, please. Okay, this is a later document [104-10163-10002] this is dated February, or January, 1966 (February 18, 1966). The only purpose of this document, I don’t know if I can find the magic words, but bring it up a litlle higher, Azcue is losing faith at this point, he’s not as big, he’s not doing so well, but he’s still a major target. They never quite got him, apparently, at least they say that, but it’s compartmentalized so you can never be quite sure, somewhere on this page you will see a reference to our friend AMKNOB-1 being a double agent. And, obviously, that’s of importance because AMKNOB-1 met Azcue back in 1960, he’s working for JMWAVE, there’s a lot more to the AMKNOB-1 story that goes right up to the day of the assassination itself where he supposedly calls Sylvia Duran herself and was looking for Raoul, which I think was Raul Pereira, or Raoul Aborigio who was working inside the consulate and that’s another whole drama, but there’s lots and lots of fishing inside the Cuban embassy for recruitments. In fact, there’s one document that says we’ve got 11 recruits from the Cuban community and several of them from the embassy or the consulate and in particular they say we tried Cubela but we were unsuccessful, this was in 1962, but we don’t think he went to Castro and told him that we tried to recruit him, we don’t think. And the guy who recuited him was a guy named Andrew Merton, we have his name now, and he was a buddy of David Phillips and so the bottom line with that is that he got a situation where you’ve got lots of fishing going on, on the American side, and the Cubans were scared to death of the Americans, according to the documents I’ve seen. They were very shaken by their ability to listen in and steal away their people. And Azcue was no exception. Okay, next page please? How am I doing on time? What time is it? 10 to 5:00p.m.CST? So, I got another 15 minutes? Would that be okay? And a few questions? Okay, thank you. Alright, thank you, I appreciate it. You don’t want to rush, but at the same time you don’t want to bore everybody to death. Is this boring stuff? Simpich - (laughs) Just checking. So, now this is a pitch to, we don’t know who 04 is, I think 04 is Casas, I don’t think it’s Lee Harvey Oswald. But, Casas, they’re having a real problem, and we’ll see in a minute getting Casas out of Harrisburg, (Pennsylvania.) Can I borrow my handout? Let’s see, I’m going back and forth. Is it on? (checking the red laser pointer?) So, “headquarters objective is recruitment in place and not defection,” and that’s the magic word, that’s what REDCAP is all about. Ideally, you get them to recruit in place. They are much more valuable than, you know, doing it in Bloomingdales and shopping in New York and not being where you want them. Okay, so anyway, Azcue’s leaving supposedly, this is, of course, about in ten days, [See SAS comment on bottom of document] wish this other fella, probably Casas could make a pitch, but LITAMIL-3 is available for the pitch, and the pitch is to recruit. Okay, next page please. Lots of white out on that, the white out starts to get very intense around here. Could you go down just a little bit, I just want, I’m sorry, go the other way, little bit more I want to see the date, I think they whited it, no there it is, okay, September 11th, a familiar date, and this is more work trying to get to Casas. Casas is doing some work in Costa Rica with this contractor named Peary and he’s a West Pointer, and we can go to the bottom of the page, and actually we can go right to the next page, they are working, working, working, trying to get Casas. “In view of polite but firm refusal to release Casas and evident reluctance to do this job its decided not to bring additional pressure,” on Peary’s firm I believe to get him released, and Mexico City has an agent with good,” something or other (access) “to Azcue,” which they are obviously eager to use for the pitch effort. Okay, next page please? AMSAIL-1 is a judge and lawyer in Miami. They named a street after him. I don’t know if he’s still alive, his name is Carlos Fernandez, Carlos Hernandez, something like that. He literally, or figuratively sailed between Miami and Mexico City. He worked with people in the Cuban community who were trying to get visas to go [get] out of Cuba. He was definitely working along the United States side. And he played a key role in the Eldun Hensen impersonation in July ‘63. How many people know about that impersonation? It’s in John Newman’s book. [p. 362-363 of "Oswald and the CIA"] [AMSAIL-1 appears in doc 104-10015-10044 from what I called the 7th ARRB Batch of documents released in 1995.] AMSAIL-1 posed as a Cuban Embassy officer and made contact with Eldun Hensen. And that document wound up in, I believe, in Oswald’s 201 file, which really shook up Jeremy Gunn. And it was because, apparently, impersonation, Gunn learned that impersonation was a common technique that they used. Richard Cain got tossed out of Mexico for impersonating somebody. Okay, so AMSAIL-1 helped set up this phony meeting where there was supposed to be a meetng with a rancher and Luisa Calderon in the embassy, there was a phone call, and when they have the meet it was all dummied up and David Phillips is sitting there listening to it all and then the FBI picks this guy up. Okay, so next page please? If you’re ready for me thank you. Yeah, yeah, we can go right on. This is good, this is getting right down to it, because we are at September 13th “station would be interested to see what happens here but the decision as to who should make the approach, ,” the other guy, “or L-3 must be made locally after clarification of extending ” - Azcue’s friendship against, Azcue’s longstanding friendship (Bill muddles the words a bit here, see below for paragraph he’s reading, and check whole document as well) with and high respect for L-3 who might use both in compartmented one-two punch. Mr. Oswald had that famous missing transcript about financial inducements that David Phillips never got right. Again, the objective is recruitment and not defection. We are almost done with these documents and you can see why I like them. So, two more to go. Right here, that’s the whole thing, thank you. “LITAMIL-3,” this is done on the 19th, the memo is on the 20th, and Oswald leaves on the 25th, “LITAMIL-3 spoke by phone to Azcue 19 September told A of which speak with him about matter already discussed. And his reply, quote you know my feelings on this, have not changed mind will not change mind, unquote. L-3 said will call later, A said quote I beg you no, no, no, don’t call me re this again unquote. L-3 convinced A is sincere and that it impossible to lay on an op. And then it says here, a little piece of handwriting, "J’ accept. Good try. Nothing lost." And there’s a little bit more if we can just go up, just a little bit more, keep going, right about there, I always have a hard time reading this but it says something to the effect of you know we can always write a letter but it doesn’t seem to look helpful so let’s wait for further developments .Then you’ve got this handwriting there and I don’t know if it’s my imagination or not but it looks like T.H.S., which would be Theodore H Shackley. It certainly is (? ), it’s a JMWAVE operation along with Mexico City. I don’t know, just something look at it. Okay, one more page, okay, can we go just there for a moment. This is from Chief of Station, JMWAVE, I do believe that’s Shackley, it’s to SAS, which is the Chief, that’s Desmond Fitzgerald, who ran the Cubela operation and ran SAS after Harvey got kicked out, and then they keep in the loop the Chief of WH division, which is J.C. King, that’s Western Hemisphere, and Chief of Station Mexico City which is Winn Scott, and again its operation TYPIC, and its about Information and Traces on Individuals Known to AMKNOB-1. AMKNOB-1 has now been debriefed for about 4 or 5 days between the 16th and the 20th, and this is a little review. The first one here I’m not going to get into much but it illustrates what’s going on, that’s Sinobas, he worked at the [Cuban] Consulate. And he was an interesting player in his own right, but not for today. A little bit more, on this one, thank you, that’s great, this is the bit about Azcue, and you can have fun with this, they are pretty exact, that’s why I like the five foot ten, 165 stuff so much. [Azcue is described as] 5’10”, 170 pounds, reddish-blond hair. I had a moments where I was thinking maybe he [Azcue] was Oswald. A very intense description of him [Azcue] and that’s about it, because then the documents just kind of fade away. And when I say fade away you will see what they call document transfers in the file for September 26 and October 8th and November 21st and other potentially significant dates but you don’t get to see the documents. At best you might get a couple word description(s) of what it was but you don’t get a lot that’s meaningful. The one thing we do know is that Azcue and AMKNOB-1 were going to get back into a rural housing project. They worked on it together in the past. They were going to work together on it again in the future. But, we don’t know if AMKNOB-1 made the second pitch or not. We know that LITAMIL-3 did. And Oswald? I can’t tell you because this is where the documents fade away. Alright, I’m going to wind up with the power point presentation, if we could switch over, I’m supposed to know how to use this but I’m not going to pretend I do. If you could set me up I am going to just race through without going too fast, tell me if I go too fast, if we can go to the first? The first is the obvious, this is what we know was happening and this was the SAS operation because it was a Cuba again and the people who were doing it were SAS people. Then the next one was probe and recruit Azcue. We’ve gone through that at some length. That seems to have been in operation by SAS and by JMWAVE for the most part. And then the next one is probe Kostikov. Now this is more of a Mexico City thing coupled with I believe an Angleton thing because its all about counterintelligence and the other thing I want to mention is not only are those cables, those two twin cables of October 10th, there’s not a word about Cuba, sure, but even more important because it was all about the Soviet Union, and how we got links to Oswald and the Soviet Union, and all this, but there’s not a word about Kostikov. Now that’s major, right? Because Kostikov is supposed to be the devil incarnate. He’s supposed to be Department 13, the assassination and sabotage guru. As Larry has said, wisely and well, many times, that should have brought the entire investigation to a halt, the fact that Kostikov was involved before the assassination, and then it should have been redoubled after the assassination, if he really was such a bad guy, which frankly, the FBI told them, they said, you’re full of it, that’s not true at all, he’s not Department 13. So, Kostikov was the devil incarnate and they are probing him to play some kind of game. You know, [to] see how open he might be to somebody who cries, and pulls out his gun, and whimpers. And maybe he could be a soft guy, or maybe they just want to see how bad of a guy he could be, or maybe they just wanted to create what I call Kabuki theater with Kostikov, with Kostikov and the man otherwise known as Oswald. And they even spell Marina’s name wrong, consistently wrong. And they got all the right documents, they know how to spell it right, they know the correct name, they got the files, except for the Cuban documents which headquarters doesn’t have and CI/SIG does. So, everybody is zooming each other, there is a lot of competition going on with these compartmentalized operations. And then the last one is the creation of the smoking file. Now I’m going to try to pretend I know how to get to the next [page], oh, I did, okay so, then, again, just a one minute review here. You’ve got those twin memos, the first memo is from the CIA HQ to the other HQ’s, which says that he’s big and burley, and 30 to 35 years old; and the other one which says CIA HQ to MC station which says he’s 5’10” and 165. The reason I’m so stuck on the 5’10 and 165 pounds is when you get, we’ll go to Dallas for just one moment, 15 minutes after the assassination that mysterious phone call, that mysterious message comes in and it says 5’10”, 165 (pounds) and 30 years old. 12:45   375. DIS:      Attention all squads. Attention all squads. description at this time, or information. 12:45. This is 35. But, then I looked at Webster’s, Webster got a debriefing, and it goes on for pages and pages, in 1962, and it says, “he’s 33 years old but he looks like he’s 30.” So, I just wonder, if again, there isn’t an operation going on, where it’s on the day of the assassination that data got tossed into the mix and it wasn’t Howard Brennan who gave it to Sawyer. Sawyer doesn’t know who he got it from. And Hoover looked at it hard and Hoover said it wasn’t Brennan. We don’t know. So, that’s spooky. The power centers again, CI/SIG, [Bill says Soviet Union, but he means Soviet Realities] and SAS, as we’ll see in those memos, but we won’t really have time to do it right, SAS is cut out of the memos. The people who are driving these memos are CI/SIG and the [Bill again says Soviet Union, he means Soviet Realities.] crowd, not SAS. They are cut out. Its originated by Bustos who is Western Hemisphere and she’s underneath John Whitten who got played, you know, like a trampolene by Jim Angleton during the month. He [Whitten] tried to run an investigation, wasn’t allowed to. I’ve never viewed Western Hemisphere as being a major player here. But, I could be wrong. Maybe they should be a power center, but I don’t think so. I see the power centers as CI/SIG and Soviet Realities. They coordinated the drafts of both of these letters, both of these memos [The October 10 cables.] Jane Roman who was doing the liasion work, she’s getting the documents from the third agencies and passing them along. I don’t know why it takes two weeks, but in any case, she released number 1 and she coordinated the draft of number 2. So, she knew it was nonsense as she told Morley 15 years ago. This fellow Gallary, Peter Dale Scott thinks he’s Hood, which is down below. Hood authenticated it. 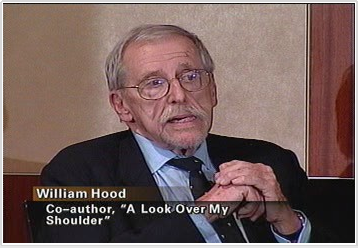 Hood was an old Jim Angleton stalwart even wrote a book on the [Pyotr Semyonovich] Popov case which is one of the most famous counterintellgence cases. Popov got busted the day Oswald arrived in the Soviet Union. 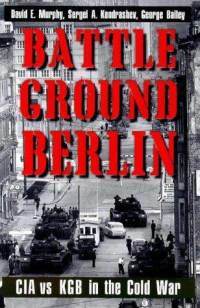 And between Popov and Webster and Oswald arriving it was a very lively week for the embassy staff and everbody else when Russell Langelle the CIA guy went to jail [See Peter Dale SCott "The Hunt for Popov's Mole."] and got kicked out of the country Snyder was going to meeting after meeting, it was highly dramatic. And it was all about getting a visa. Oswald really had to fight getting a visa into the Soviet Union but he did it in two days and he tried to do the same thing here. The difference here was that he didn’t get the visa. Why? Because he showed up on the 27th and said I need this visa by the 30th. It was Friday afternoon, I want it by Monday morning. I want to leave for Cuba. Oh, I could have filled out paperwork, but I didn’t do it. And I said I did fill out the paperwork at the Soviet embassy but I didn’t. So, Oswald thought he was going to play the same game. Or did he? And I say that because the head, one of the heads of immigration said look the 15 days on your visa doesn’t start running when you get on the bus, when you get the ticket in New Orleans on the 17th, it starts running when you get on the bus across the border on the 26th. He could have stayed till the 12th. There was no hurry. He pretended there was a hurry. Why did he pretend he was in such a hurry? I would offer he did not want to get the visa. Reasonable people can differ on this but I think the whole thing was to test these people, put them in an impossible situation and see how they react. Whitten coordinated this thing and Karamessenes who was right underneath Helms at the top of the heap, the Directorate of Plans, he also signed off on number 2, the phony letter to Mexico City which in fact by giving an innaccurate description meant that Mexico City was not immune from this mole hunt they were being molehunted just like everbody else was. Okay, so what have we learned? We have gone over most of it already. But, to recap. The “Mystery Man” is not with Oswald. Who was the “Mystery Man?” Winn Scott knows. And J. C. King knows because Scott wrote him a memo saying this is the man who is known to you. But nobody ever asked him who it was. Why? Other HQs told Lee Henry is 35, athletic build. Mexico City is told no “Lee Henry” info after May ‘62, that’s because the 201 file has been stripped. Special permission needed from ADDP re Americans, that’s their story as to why somebody that high up had to get involved in the Oswald case. In fact, Egerter said we were tremendously excited about this Oswald guy. We thought we had something big here. And so whether there was an operation here, and whether Oswald was willing or unwilling, they admitted on the record they were excited about him. And again, SAS is not in the loop. Everybody else had sections clearing both cables, but not SAS. And I think the whole purpose here was to minimize Kostikov and minimize Cuba. And I think, as Newman said really wisely, I think, this was an exercise in dimming the lights, knowingly or unknowlingly on the part of some people. CIA HQ did not have access to the smoking file because CI/SIG had taken the key documents out. And CI/SIG had the Cuba documents. And that’s that. So, the molehunters were CI/SIG and State. These are the different mole hunt key words: “Lee Henry”, Pusakova (Marina’s mispelled last name), 35 years old, 165 pounds, MM, 1962 cards. All of these agencies, [FBI, Navy, INS and the CIA’s own subordinate station in Mexico City] were being mole hunted by CI/SIG. And that was CI/SIG’s job, totally legal what they were doing. Response of the FBI? Well, there’s that fella Kaack going where was Oswald born anyway? Why do they care about his birth certificate in late October of ‘63? They wanted to know just who this guy was, a lot like the people in this room. Response from the Navy, a failure to provide a photo of Oswald. Well, yeah, yeah, you just mailed the Navy a picture of a six foot burley guy they haven’t seen much of in the last year or two. They weren’t going to provide a photo to anybody. They didn’t want to look foolish. And there’s a document out there, take a look for it, called ZR/Taffy. Winn Scott sent something at the end of October to Richard Helms, Fletcher Knight, if you will. [104-10050-10223] ZRTaffy could be a Poloroid photo of who knows what? We don’t know yet. But, it’s fascinating to ponder. The response of Mexico City, I wrote an article about this you can find it on Google. If you Google my name and the JFK case and informants, and it’s all about the number of polygraphs that were done all throughout CIA assetts and employees in October of ‘63 after Oswald’s departure. And that is a fascinating story in and of itself. Okay, that is, there are more pages, but I don’t know how we’re doing on time? Pretty short? Well, why don’t I just try to wrap it up? Could we click down a couple pages here. And then you see the Hosty report. That’s what I really keyed in on, the Hosty report in particular because that reaches the CIA liaison by the 23rd. And then a Quigley letterhead memo is written on the 24th. 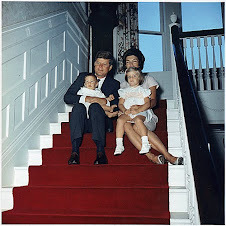 This is obviously two days before Oswald leaves [for Mexico City.] So, people are really rushing it. And then after that you’ve just got a series of these visits we’ve discussed already. You’ve got a lot of drama coming up to the point where Mr. Gheesling, I ordered this document, found out where Mr. Gheesling says, oh, I heard Mr. Oswald got arrested in New Orleans for leafletting around the FPCC. I’m a Soviet beat guy and I was the one who put him on the watch list memo in the first place and I forgot to lift it. But, now that reminded me it’s time to lift it, got to lift it. And this is days before the twin CIA memos that Newman, and I agree with Newman on this, if Gheesling had not done that Oswald would have been under a much brighter spotlight. So, that’s the heart of that. We’ve done the probe of Azcue. If anybody knows who these people are [LITAMIL-3 and AMKNOB-1] that would be great. We’ve gone over the Kabuki theater about Kostikov and all those various events. LCIMPROVE means counterintelligence, counterespionage program aimed at the Soviet Union and it took us 35 years to find that out, and that was the last thing that was declassified off the crucial Mexico City letters that were sent to headquarters in October talking about Oswald. And so it’s just more grist for the mill. There was some kind of operation focused on Kostikov as well, I think here, or certainly the consulate at least. The creation of the smoking file, all this really shows you is that the only two documents that were left in the 201 file that were FBI were the two Fain reports that were 5’10”, 165 (pounds) everything else was either pulled out of the report and put inside the Cuba file or litterally hidden. Nobody can even find these two quite yet. 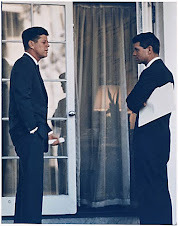 (I believe Bill is pointing to the 7/10/62 and 8/30/62 Fain reports) Maybe it will come up someday. But headquarters didn’t have all the information either. In other words, everybody was working everybody else, and I think it was because it was an attractive place to do espionage. It was, you know, kind a like a disco for spies. So, again we don’t really have time to do this properly but it’s worth looking at those memos. What you will see in those memos at the end of the day is who got these hot reports and that’s another story unto itself. I just want to close by saying people took oaths in the CIA and in the HSCA, people like Eddie Lopez, good guys as well as bad guys in the CIA took oaths, and they weren’t able to talk, they still can’t talk as of this day. I know most of you know this. 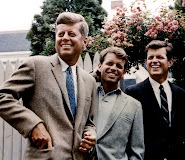 I hope that we can focus political efforts into getting these oaths released, into getting these informants names released so that we can interview these people around the time of the 50th anniversary before the last of them are dead and we get the information that is still available to us. Thank you very much.